Flat Earth theorists believe they have ‘proof’ the planet is indeed flat, and not a globe, as it has long been believed. The theorists, who believe Earth is flat and NASA is nothing but a government propaganda machine, have been making their points for some time now. That’s despite evidence such as satellite photos of Earth – which clearly show it as being spherical. 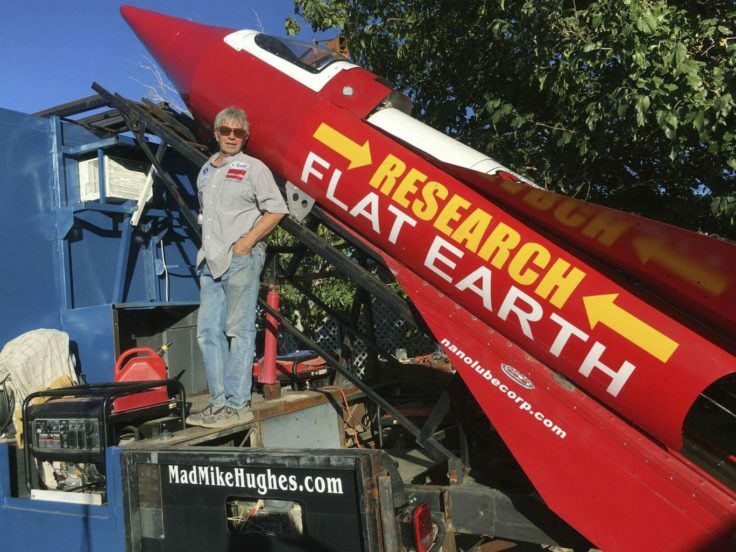 Recently ‘Mad’ Mike Hughes, as he’s known, built a ‘steam-powered’ rocket using scrap metal and was planning to launch it in an effort to check the ‘alleged’ curvature of the Earth. The 61-year-old limo driver, from California, has plans to launch the rocket – which cost an estimated $20,000 (£15,000) to make. The initial launch was set back but he is expected to reattempt the launch at some point in the near future. At the end of last year, many Flat Earth theorists met up at the Flat Earth International Conference. Among them was Mark Sargent, who has a large following on YouTube channel on which he posts videos of his Flat Earth Clues. 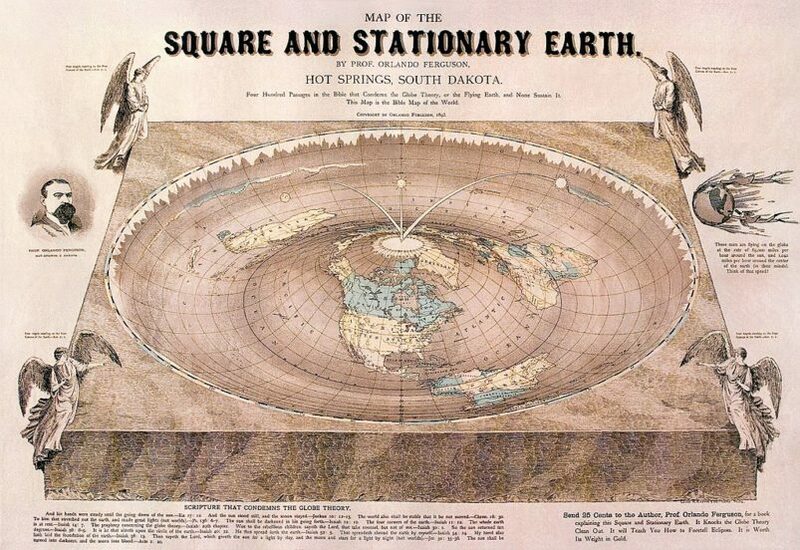 Flat Earth is not something new. I did not invent flat Earth. All I did was walk up to a door, point at it [and] say, ‘You know what I think it’s some really interesting things on the other side of this’. 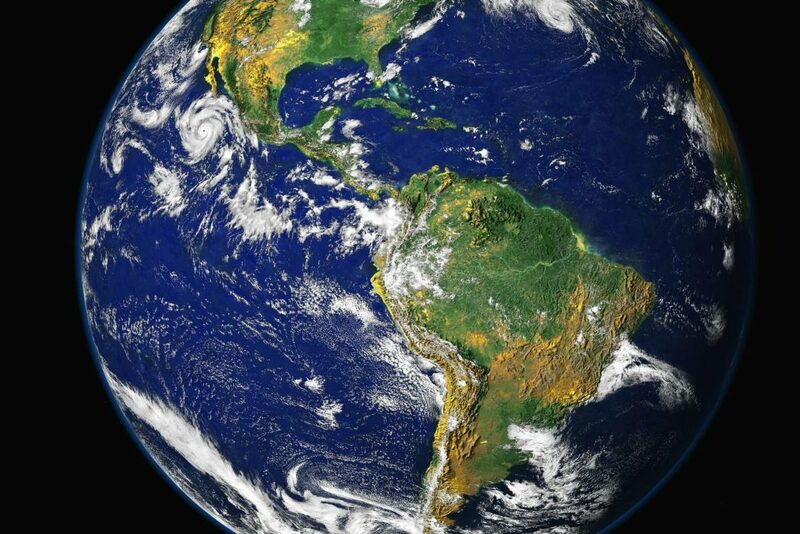 There is a list of things that ‘prove’ the planet is flat, theorists say. Firstly, flat Earthers believe the fact nobody has ‘claimed Antarctica’ could mean the Earth is flat. They say it’s not actually a continent but a ‘360 degree landmass made up of ice’ surrounding the planet, holding in the oceans. They also say if the Earth was curved in any way, any body of water would have a ‘bulge in its centre’, and the ‘natural physics of water’ to find and maintain a level surface proves this theory. Then there’s the whole ‘there are no actual pictures of Earth’ as theorists claim the photos we have come to know are all photoshopped in some way. Flat-Earthers have also said ‘if the sun was 93 million miles away, sun rays would come in straight’. Yeah, I’m not sure about that. Considering some parts of the world are warmer than others due to the strength of the sun? Another theory has been formed from clouds. The theorists say the fact the bottom of clouds are flat, it means the Earth might be flat too. One of the most well-known scientists in the UK, Professor Brian Cox, was asked a flat Earth question in an interview recently. On what’s called Science Page on Facebook, Professor Cox was featured on video, answering a question from somebody called Johanna about whether the Earth could indeed be flat. There is absolutely no basis at all for thinking the world is flat. Nobody in human history, as far as I know, has thought the world was flat. The Greeks measured the radius of the Earth. I cannot conceive of a reason why anybody would think the world is flat. He’s the man who makes science fun and easy for us all to understand – prepare to be amazed as Professor Brian Cox answers your questions! 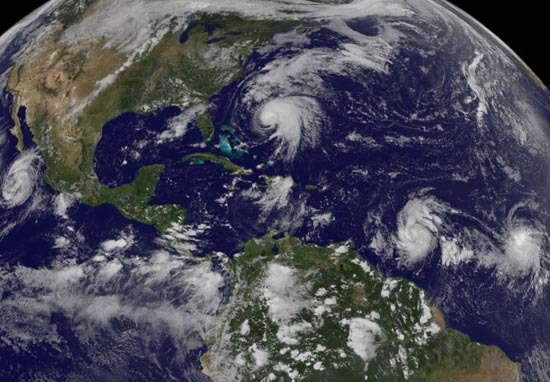 There are interesting bits of physics that tell you, you live on a spinning planet and one of them is called the Coriolis force, which is the force that’s responsible for causing storm systems to rotate on the planet. So when you see those beautiful pictures of storms spinning around and rotating, the reason for that is that we live on a spinning planet. Professor Cox isn’t the only one who thinks it’s all a load of old garbage. Recently, Tesla and SpaceX billionaire Elon Musk, shut down the conspiracy theorists making another perfect point about it all. Mars’ sky is the opposite of Earth. Blue sunrise and sunset. Red during the day. He does make a good point – since Mars too has been observed to be round, why’s there no conspiracy theory yet saying this planet is flat too?